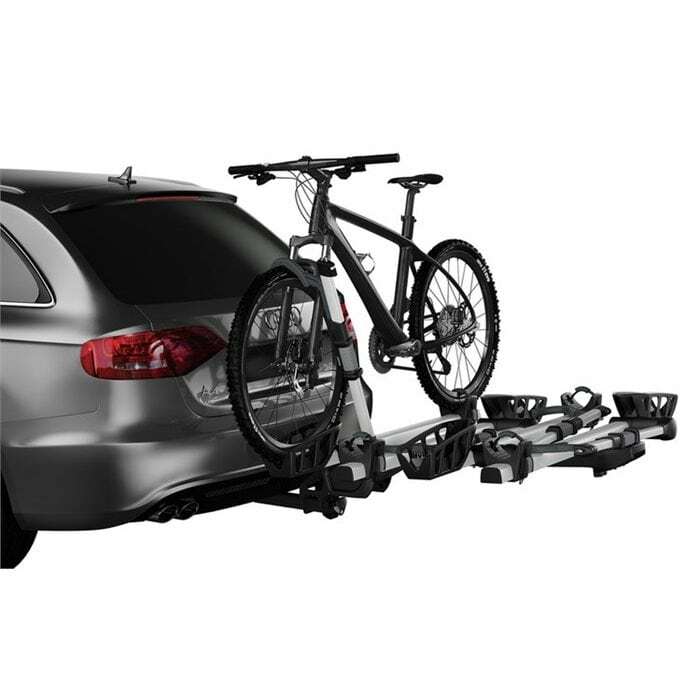 I knew I was going to love the new Thule T2 Pro Bike Carrier, but I didn’t realize how much. This thing makes me want to take my bike everywhere. It is so easy to maneuver that I can load and unload my bike quickly and painlessly. 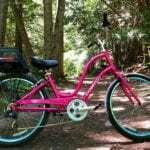 Now we won’t hesitate to take our bikes on camping and road trips. Prior to the Thule T2 Pro, I was using an L-shaped hitch mount rack (different brand) which was a huge struggle. It was the kind where you have to lift the bike (requiring a crossbar adapter) and then fumble with the rubber fasteners to get it on and off. Royal Pain. And it was enough of a hassle that I would avoid it entirely and miss out on some fun times with my bike just because I didn’t want to fight with the rack. The platform carrier is a totally different ball game. I cannot believe how easy it is to use! So easy it’s fun. And I feel totally empowered having this on the back of my car and knowing we can go anywhere with our bikes. Easy on, easy off. 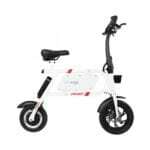 And while they are on the carrier, the bikes are completely secure both by means of the ratcheting arm and included locks. Watch the video above to see how simple this is. Now, if you are going to leave your bikes unattended I would strongly recommend using additional quality locks like Kryptonite to keep your bikes secure. If you are just running into a gas station or something quick, I probably would be okay with the included locks, but anything more than a minute or two and I would lock them down with beefier locks. 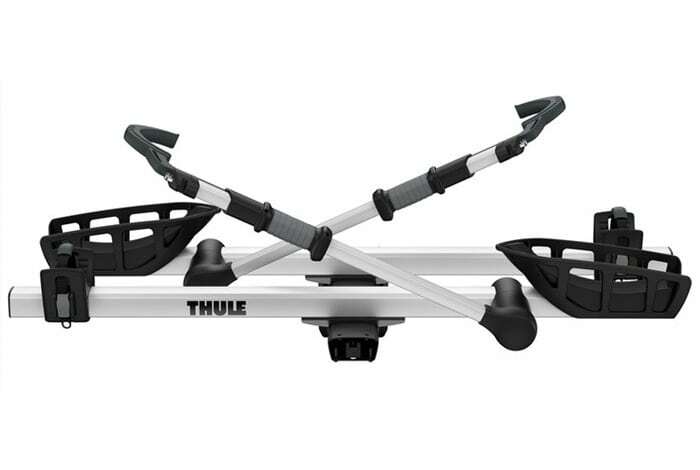 Assembling the Thule T2 Pro is a piece of cake. I did it myself and it took about 30 minutes. You have to have a hitch on your car first, and then you just insert the end of the carrier into the hitch receiver. From there, you install the platforms that hold the bikes. If I can do it, anyone can do it. Tools (two allen wrenches) are included. When the carrier is not in use, it folds up and out of the way. It’s sleek and clean looking, a beautiful carrier. 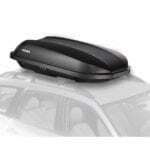 If you need an easy way to haul your bikes around–especially those of you who ride step through bikes and bikes without that cross bar–here is your carrier. It’s the nicest bike rack I’ve ever used and now I can’t imagine not having it. We have used it nearly every day since we got it, it’s that awesome. 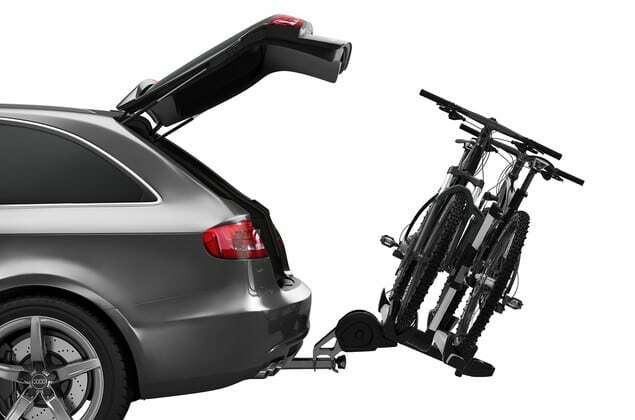 Find the Thule T2 Pro Bike Carrier HERE.